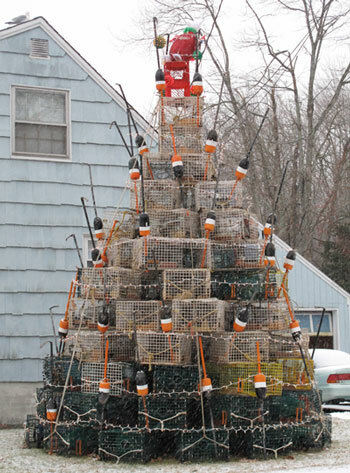 Ever wonder what lobstermen do with with their traps and buoys when it’s too cold to lobster? Some stack them up in their yards. The creative ones make Christmas trees. Happy Holidays from Brunswick, Maine!